Join us for a day on the slopes and share your stories stories about digitization and existing scenarios people can relate to for hope and orientation. Once we are on a lift we start our dialogues and capture your stories on film or camera as input for our panel in the FQ Lounge on January 24, 2019 at 3 PM as well as social media channels. Audience: Anyone interested in digitization channels. Price: Free. But you have to buy your own ski pass and food. Digitization is changing how companies engage with their customers, organize work and, fundamentally, the way they do business. If the body of digitization is the output and generated value, the mind is the organization’s process and the way of work, and the soul is the values, at the heart is your why or purpose. Leaders share why culture and mindset are keys for digital transformations, and why people — rather than technology — will drive success. Price: Free. But arrive early due to limited seating. Photo credits: „Eye“: http://tinyurl.com/y8gb8h4b. “Fear“: http://tinyurl.com/y8gtw3wj. Trump’s economic policies are starkly different from his predecessors and deviates from mainstream economics and political thinking. Take, for example, his massive tax cuts for the corporate world or his initiated trade wars. Just by looking at recent economic numbers and the booming stock market his policies seem to pay off and open a new era of economic prosperity. But do they really? Long-term market performance indices and forecasts tell a different story. Shareholder buybacks and alike contribute nothing to building a solid foundation for future business success. They yield short-term benefits and the party is on. But, for how long? Where does it lead to? Has big money finally succeeded and overtaken economic and political thinking? How sustainable is this short-term growth? Who benefits, who loses? And, last but not least, what kind of answers does it provide to today’s global challenges that are becoming more and more volatile, uncertain, complex and ambiguous? 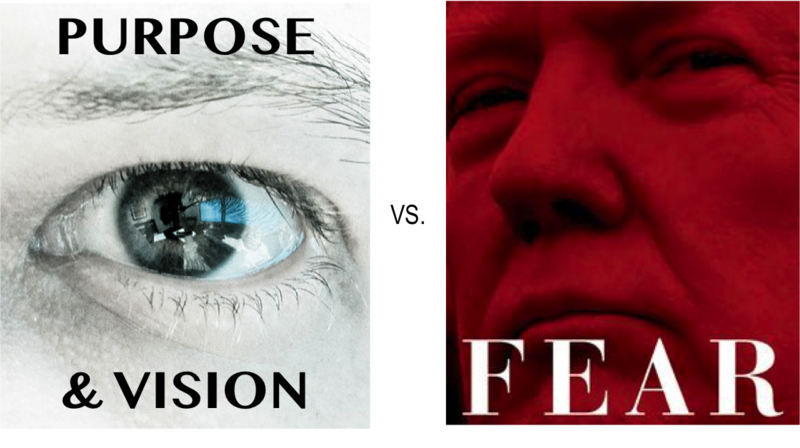 What if Trump’s favored form of capitalism leads to a dead end?! As explained in a previous post, I am more than skeptical about the outlook of traditional capitalism. Fact is that traditional capitalism does not answer today’s challenges in a VUCA (volatile, uncertain, complex, ambiguous) world, widens the gap between rich and poor, exploits and threatens to destroy our environment and thus our own planet. What we need is a different, a new business paradigm that not only helps find solutions to today’s problems but can also serve as guidance to sustainable business in the 21stcentury. In this article I explain why and how purpose-driven human business can make a huge difference. It differs significantly from the classical business paradigm. At the same time it has built-in bridges every business can cross to build a sustainable future. Maximizing Shareholder Value: Engine for Growth? No doubt, Milton Friedman and shareholder value theory has shaped Western business since the 1970s. It has led to tremendous wealth of companies as well as societies, even though the fruits of this growth have not been distributed equally. Acknowledging shareholder value thinking is prevalent in today’s business world, and a booming stock exchange market, what’s so wrong about it?! Why change a winning formula?! So far so good. But what about business performance in the market place? The life expectancy of Fortune 500 firms is down to 15 years, and is heading towards 5 years. In short, traditional businesses infiltrated by shareholder value theory not only ignores long-term perspectives, they also risk their own future existence. Myopia at its best. In face of this evidence why do so many companies still stick to a business paradigm of the past? For one, it is convenient. Governance in most businesses still built on the old business paradigm, along with complicated incentive system for individual and company performance at the stock market. Changing these processes and culture takes ages. Why change it given that those who would have to make the call for a change personally benefit from the old system? Linking maximizing shareholder ‘value’ to personal compensation blinds managers from the real world – and most of them don’t even realize it because they were born blind or lost eyesight early in their childhood (or education). From this perspective, they live out their DNA. I guess, you can’t even blame them for their upbringing shaped their belief system. They were indoctrinated. A second reason for favoring existing belief systems is that proponents of the status quo simply don’t see any real alternative at hand. Thinking in complicated, elaborate governance structures and processes implies that there needs to be an even more complicated system? There is simply no time to address this, even less so, coming up with new ideas that improve existing processes. As long as this reasoning prevails, it is difficult to change anything until it may be too late. Alas, it is not that complicated at all. Let’s have a look at the opposite of the traditional business paradigm of short-term profits and shareholder value theory. It’s called purpose-driven business. A purpose-driven business follows a compass that gives a clear direction for the future of the business. The compass also indicates where the business is coming from, i.e., why it is business in the first place. 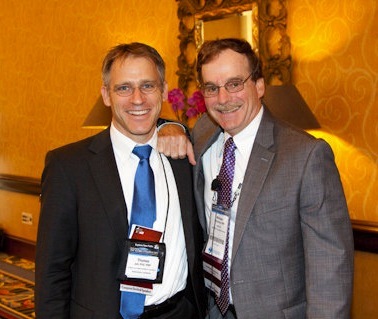 Both, the motivation and the vision of a business constitute the credo of its practice. 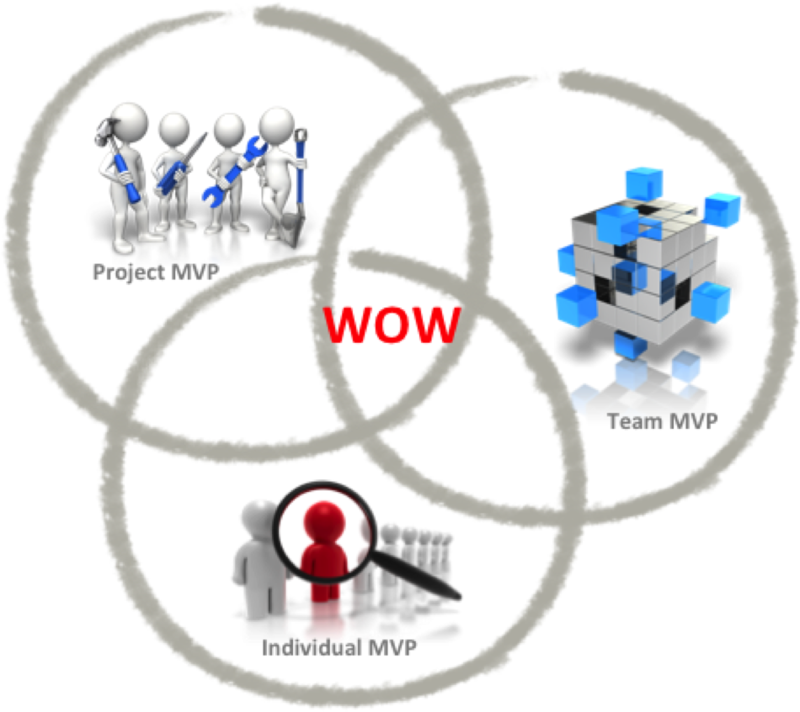 I call this the MVP of a purpose-driven business whereas M stands for motivation, V for visionand P for practice. For example, Johnson & Johnson’s company credo is engraved in granite at the entry to company headquarters, which makes crystal clear that customers are first, then employees, and shareholders absolutely last. On this token, a business that has forgotten or neglects its motivation or vision for short-term gains, such as maximizing daily stock prices, may just as well be digging its own grave in the long-run. 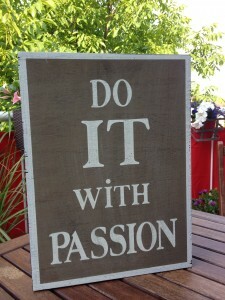 It is anything but a purpose-driven business. Alas, delighting a customer goes beyond creating or satisfying a customer. Delighting a customer implies that a business has a deep understanding of the needs, expectations and wishes of its customers and strives to fulfill and exceed them. It seeks to build customers for life. It reaches out to its customers, communicates with them, walks in their shoes and shows a sincere interest in them. There are no quick fixes for this approach. It is an attitude and belief system. a sincere interest in the needs of their employees. It starts with a safe, secure and environmentally friendly work environment. 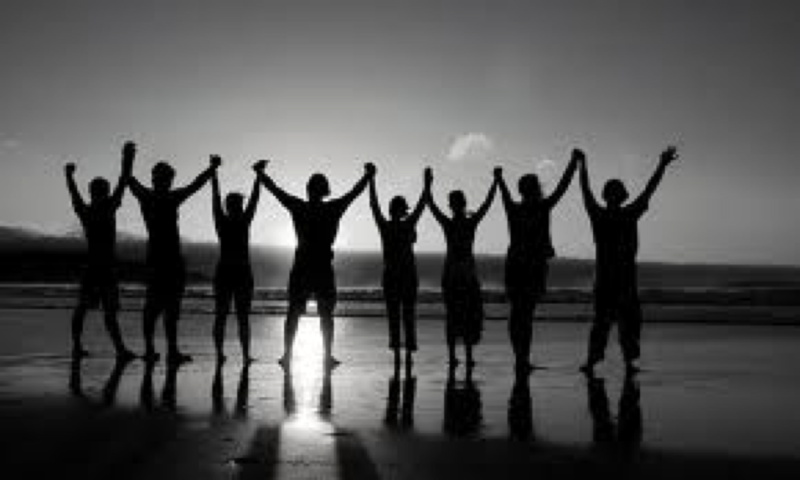 For employees to follow a direction you have to set it, share it and let your employees contribute to it. Let them become a part of it. Shareholder value is not identical to business value. Business value comprises short-, mid- and long-term business concerns, interests and investments. Business value is made up of a number of factors: the overall business performance and outlook, customer satisfaction ratings, market position, innovation performance, the skillset and turnover rate of the workforce, the attractiveness of the company as an employer of choice and many other factors. 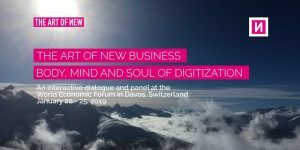 Klaus Schwab’s wide view on business value summarizes what it means when we say that human business is holistic and human-centered and focuses on generating and adding sustainable value to its customers, workforce, business, and society. It serves as a business compass that helps optimize daily operationsand build and sustain organizational excellence. 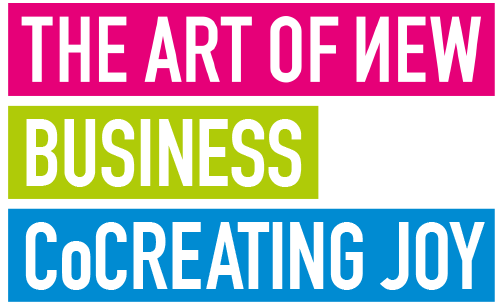 At Motivate2B and The Art of New Business we are witnessing businesses that have made the transition to a human business. And, we too, follow the principles of human business by ourselves. What else can we do?! We walk the talk and invite you to do the same. Please join us and share your stories. If there ever was a time to realize creative potential inside companies it is now. A quick look at the top issues facing companies of all sizes reveals the usual short list: attracting and retaining talent, managing reputation, with the need to create flexible workplaces and balance benefits with bottom line. While tempting to view these challenges with concern over the bottom line, doing so sabotages gains possible when entrepreneurial spirit applied to innovation is ignited full throttle. Even conscious business leaders, who keep an eye on the horizon (longer term), getting work done and being attentive to workplace dynamics, are still susceptible to running around in circles. Entrepreneurial spirit combines personal spirit with a sense of adventure, willingness to experiment, an insatiable desire to learn and a capacity to bounce forward. Without entrepreneurial spirit at play, companies plod through the motions, guided by habitual processes and routine. The company runs on auto-pilot so much so that either the purpose of the task is assumed, or the underlying agenda is to explicitly or implicitly control behavior. Either way, the company falls asleep at the wheel numbing leaders into the same repetitive albeit comfortable cycle. Running hard to wind up in the same place. 85% of leaders in the U.S. are operating at the survival level. [See Seizing the Executive Imperative To Expand Consciousness] One source of the hamster wheel is the existence of internal politics. Behind internal politics is the desire to protect personal reputation at the expense of achieving business goals. Aversion to risk, and therefore innovation, is inherent. Entrepreneurial spirit suffocates in working climates where trust is low and expression of diverse ideas is suppressed. In contrast, innovation requires creativity and a comfort with uncertainty. Characteristic of problem oriented, adrenaline charged companies is the persistent focus on solving problems. Problems love analytical thinking. Innovation on the other side requires exploratory thinking – the opposite of problem solving. Linear thinking doesn’t help because problem solving tends to assume that there is a singular root cause. In a complex system, multiple causes exist. Unless perception is expanded you will find yourself running in circles: busy but not productive. 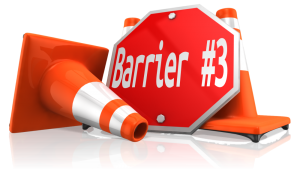 Asking leaders to innovate and apply their entrepreneurial spirit while continuing to focus on barriers keeps everyone running in a loop. Leaders find themselves chasing problems. Since what you focus on expands, problems also expand. Adrenaline is addictive as is the illusion of feeling in control. In workplaces designed to control behaviour, business leaders at every level will find themselves repeating the same patterns over and over again. Awareness of what you are focusing on helps you develop flexibility in how you perceive (see) the situation. Increasing flexibility gives you more options, while letting go of the need to control everyone else. It is a start at least. Beliefs keep decisions running in a rut and operate without being noticed until you systematically poke them to the surface. For example, walk into a company that believes it exists to purely make a profit and you will find behaviours shaped by those beliefs. Or if, for instance, the core belief is that employees must be told what to do, then selection of metrics and implementation of performance management strategies will reflect that belief. Beliefs drive decisions unless the company and business leaders have deliberately worked with values as a principle-based approach to decision making. Take a look at the metrics. Whenever a company focuses on quantitative measures and statistics alone, meaning is likely to be missing. Without meaning there is no inspiration and no fuel to fire up creativity, much needed for innovative responses to uncertainty. Reflecting to observe patterns in recurring issues or undesirable results, strengthens ability to pivot. By far the biggest barrier is to sight of what matters most to you as a fully aware and caring human being with a desire to contribute your talent to something meaningful. Yes, food needs to be put on the table but the days of trading your soul for security are gone. Rather than being driven by the need for societal approval or by metrics that manipulate behavior reconnecting to your personal sense of purpose and of inspiration is the only door available going forward. Personal reflection to identify what you rely on: social approval, meeting external expectations for instance, enables you to chart a course toward personal fulfillment. What do you see as the barriers to stepping off the hamster wheel and do what you believe, deep down, you’re truly capable of? Heute erklärte ich den Teilnehmern des HR Summit beim 12. Deutschen Corporate Social Responsibility Forum warum traditionelle Organisationsentwicklung in die Sackgasse führt, weil es auf den falschen Annahmen und überholten Management-Theorien basiert. Stattdessen plädiere ich für einen agilen Ansatz der organisatorischen Potenzialentfaltung. Ein entsprechendes Programm entwickelte bei und für Magna International. In der Kürze der Zeit war es nicht möglich, näher auf dieses Programm einzugehen. Einen kleinen Einblick gibt die Kopie meiner heutigen Präsentation; bitte hier klicken. Developing my new workshop “Leadership, Happiness and Project Success” I came across the question whether or not there can be tools for developing leadership. After all, the second part of the preliminary workshop agenda read “Create a strategy with the best tools possible”. It is a legitimate question and I think easy to answer: If you ask me if leadership requires tools my response is “No! Leadership requires principles.” Principles give you guidance and an orientation. Tools are superficial, they are means to reach a goal but no more. Remember the saying “A fool with a tool is still a fool”? Well, this applies to those who are interested in leadership, too. No, just by applying good and effective tools you do not develop leadership. Leadership goes deeper, it comes from within, i.e., you have to know where you are coming from, what drives you and where you want to go. Sharing a common vision and goals with your team and organization and having the same understanding how to achieve it are key factors for project success. A performing team yields synergy effects; the impossible becomes possible. This is why team building is crucial. Both on the individual and team level. Inspire and ignite team magic. Effective leaders are open for receiving and giving feedback. It requires courage to explore new avenues and to make mistakes and to learn from them. Delivering results is both a prerequisite and an outcome of effective leadership. These five principles are not limited to the role of the project manager or project leader. Indeed, you can apply the five principles of effective leadership in any role you fill on a project, whether as the official project sponsor, project manager, team member, external consultant, project auditor, or any other project role. It may be difficult at times. But it is possible. Every journey, regardless of how long it may be, starts with the first step. Take this step and move forward. 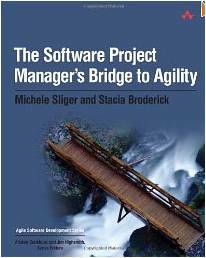 If you are interested or alreaday practicing agile project management Michele Sliger’s and Stacia Broderick’s book “The Software Project Manager’s Bridge to Agility” (Addison Wesley, 2008) is a must-read. There are a LOT of books on agile project management out there. Unfortunately, there are hardly any which explain how to build a bridge from traditional to agile project management. This books fills this gap. 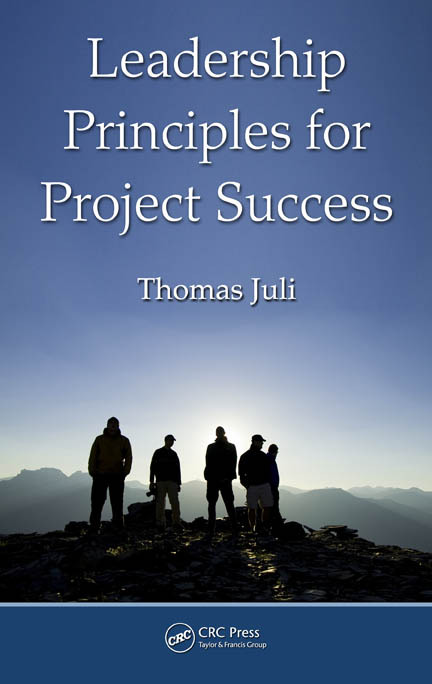 One of the outstanding features of the book is that it explains how Agile differs from the PMBOK, one of the world standard in project management these days. Even more important it shows that Agile is not contradictory to the PMBOK or vice versa. It thus succeeds building the much needed bridge for traditionalists. Readers who have read about Scrum, XP and other agile approaches are highly recommended to read Michele Sliger’s and Stacia Broderick’s book. The modern and effective project manager should be knowledgeable and experienced in both approaches and be able to pick the right approach for the customer. The preliminary publication date has been set to August 23, 2010. More information can be found on the Book tab.